It’s natural to think of the institution of the Eucharist when the Last Supper comes to mind. The sacramental memorial of Christ’s paschal mystery is, after all, “the source and summit of the entire Christian life” (Lumen Gentium, No. 11). A close reading of John’s Gospel, however, sheds a different light on the Last Supper. In fact, he doesn’t write about the institution of the Eucharist directly at all. Instead, John primarily focuses on Jesus washing the feet of His apostles — an act of charity par excellence, connecting his impending sacrifice to service. But there’s yet another aspect of John’s narrative of the Last Supper which has always stuck out to me. It comes from Jesus’ lengthy prayer to His Father — Christ’s prayer for unity. Fully aware of humanity’s fallen nature, Jesus anticipated the struggles and strife that would plague His followers in the future. And so here, in the context of the first Eucharist, Jesus offers a prayer pleading for unity among His followers. He indicates that the very credibility of His message hinges upon that unity. “I pray not only for them, but also for those who will believe in me through their word, so that they may all be one, as you, Father, are in me and I in you, that they also may be in us, that the world may believe that you sent me” (Jn 17:20-21). Jesus prays that Christians be united “that the world may believe.” And yet we aren’t. The regrettable separations and divisions in Christendom over the last millennium have been met in the last century by a realization of one of Christ’s last wishes. The ecumenical movement seeks to bring about the unity Christ wills for His Church — not to water down the deposit of the Faith handed on by Christ to the Church to a least common denominator. 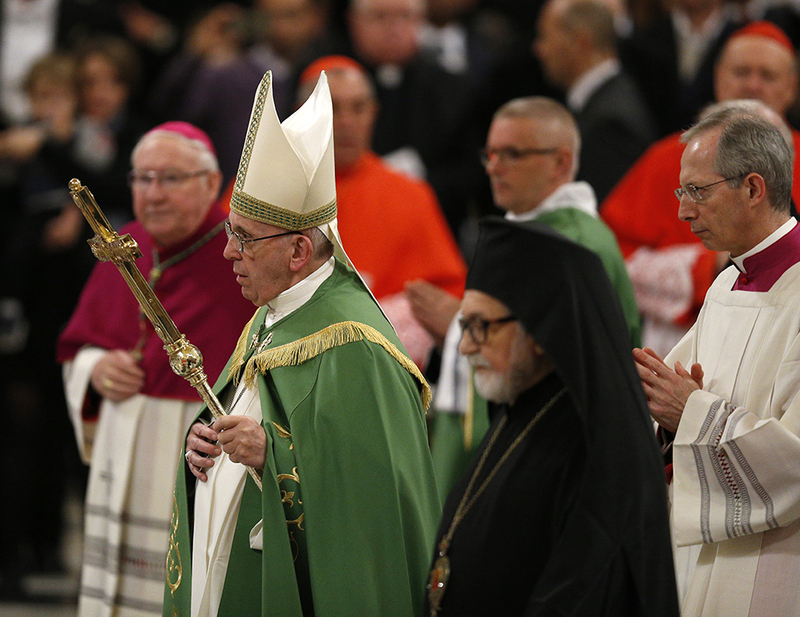 Since the Second Vatican Council the Catholic Church has been entirely committed to ecumenism. While much of the work to accomplish unity is handled at higher levels, we each need to do our part. The most important thing we can do is to pray for Christian unity. To this end, the Week of Prayer for Christian Unity was established by the Servant of God Father Paul Wattson in 1909. Occurring Jan. 18-25, Christians throughout the world are invited to meditate on ways we can foster ecumenism.